The Avon Majestic Stainless Steel fountain set is a beautifully crafted, triple tube water feature. 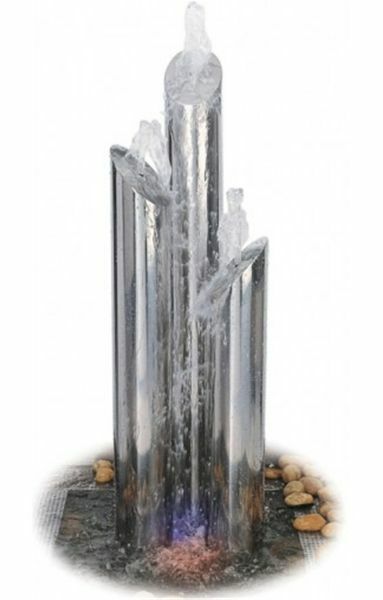 Bubbling water shimmers down the fountain tubes to create a unique effect. Made from timeless Stainless Steel and complete with 230 volt pump and 10 metres cable. Dimensions - 1200mm H, 125mm tube Ø. Delighted with Avon water feature. Very easy to install. Delivery service was very efficient. Package was damaged on outside but product was unaffected.